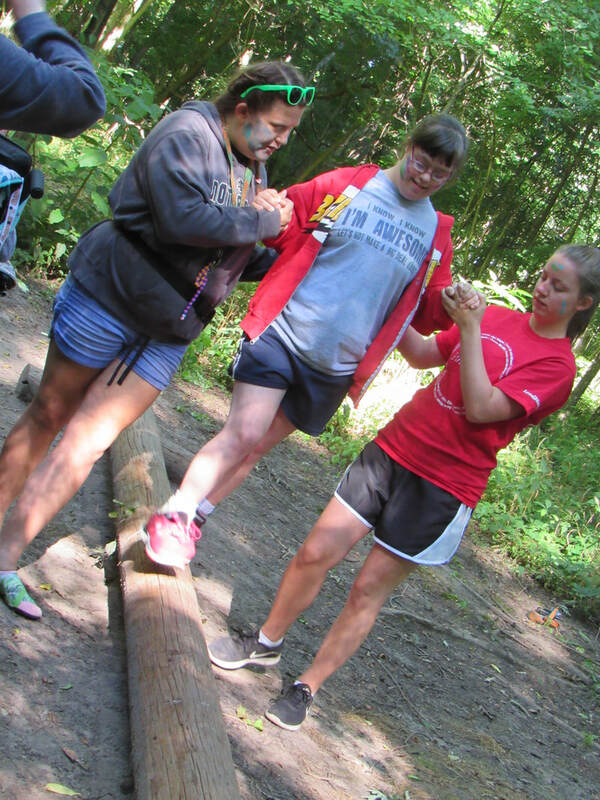 We have our very own low ropes challenge course that is adaptable for all needs! 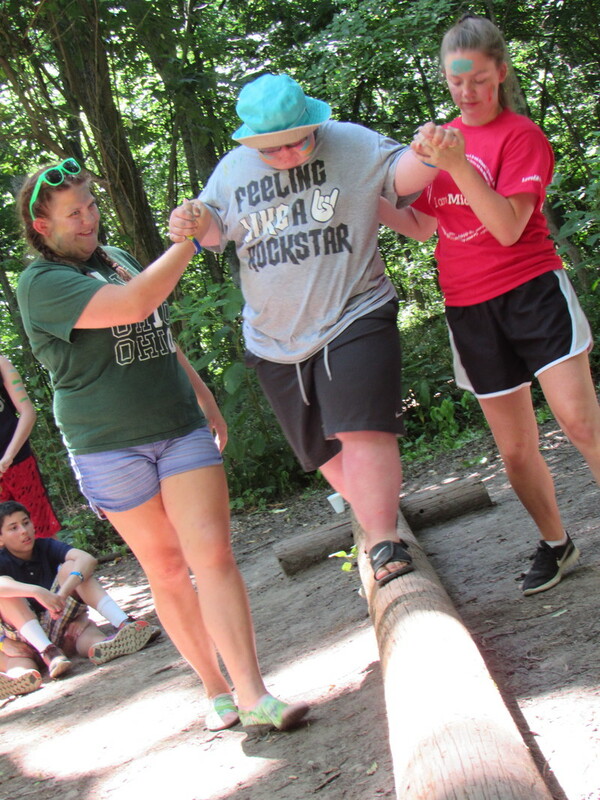 We get out there at least once a week to give every camper the unique and unforgettable experience of completing a challenge course. 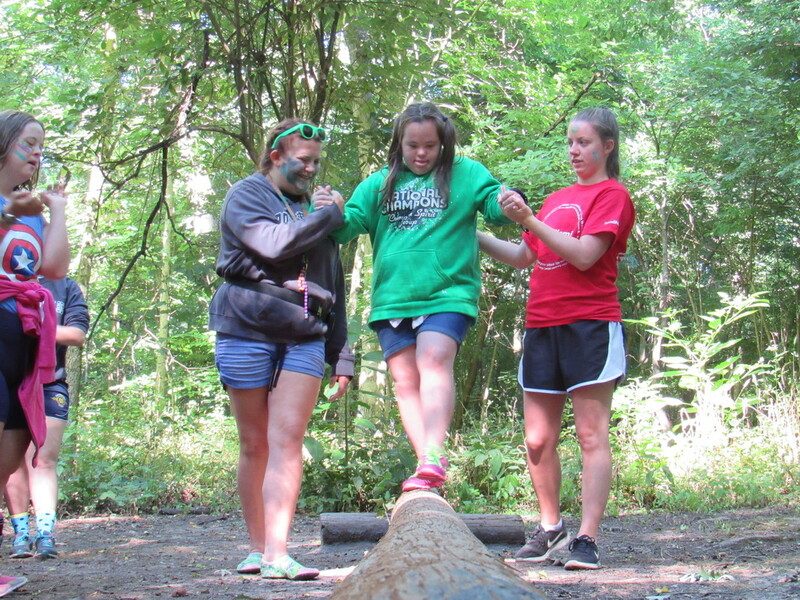 Many campers have never done anything like it before and feel a huge sense of accomplishment from overcoming each element's specific challenge. All the elements can be completed in several different ways in order to accommodate each and every camper. We always have at least 2 certified facilitators and a 3:1 camper to staff ratio while we are out on the course. All our staff receive training on correct spotting technique and are familiar with all of the elements on the course. Click below to find out more information about and see pictures from all our elements!